At least you know by the title that there was no murder involved in our visit to the ATT store today. 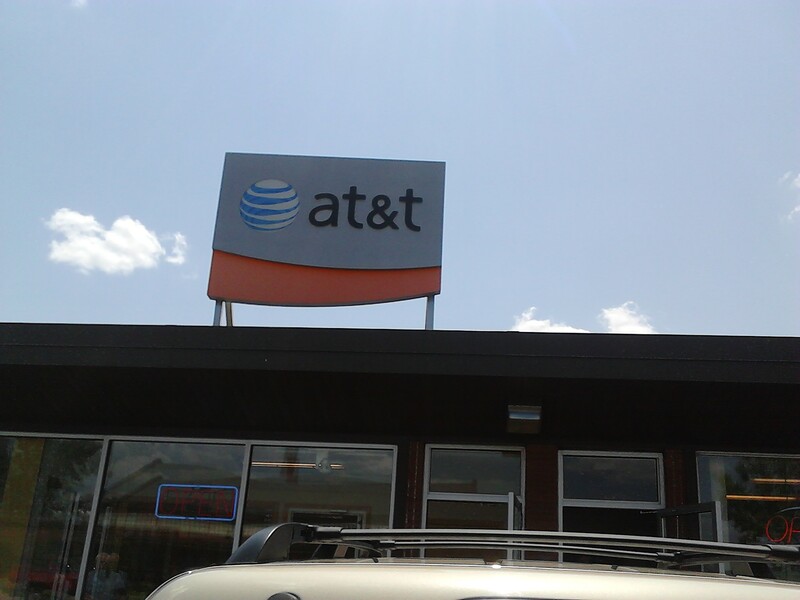 We drove the 100 miles to Virginia, Minnesota to the tiny little ATT store there. A very nice young man named Mike asked if he could help us. As nice and briefly as I could I told him we wanted to turn in the phone we had and wanted a new phone without the problems associated with the one we had. He plugged the number into his computer and up came all the records. I could see his computer and the notes were quite lengthy. Each call was documented and he could see how much we’d been through. He started out by saying they couldn’t give us a refund past 14 days from the date we received the phone. Not a good start.We’ve been trying to make this go away since around that time but it didn’t matter. He said they are limited in the store to what they can authorize since we originally got it online. We expressed our displeasure with this information in what I believe was a much better manner than it deserved. He went away for a long time (probably 15 minutes) and told us what he could offer was a much better phone in place of ours and give us a $50 credit towards future minutes. We clarified with him that he wasn’t able to give us the full $150 in service we’ve already prepaid. Again there are limits to what he could do in the store. Again we tell him that’s poor company policy. I notice another ATT representative listening carefully to us and the original rep Mike introduces us to him, the store manager. He again offered us the much nicer phone with a $50 credit for future service. We summarized for him all the problems we’ve had and that we are not asking for anything special, just what we’ve already paid and a different phone. We explain that the nicer phone they were offering us wasn’t going to do us any good even if it did cost $200 more than the one we bought, it’s just a temporary phone I’ll use until we get to somewhere VERIZON is available again. After more conversation and both of them realizing everyone in the store was listening to the conversation and him realizing we didn’t want the nicer phone no matter what a great offer he thought that was, he offered to give us an exchange of the same phone type, the $50 we were just charged last week and a $50 credit which totals $150 of the $200 we had put out. The difference was for the month of June which is past, however we only had use of the phone half the month. Since June is over and seeing this was the best they were going to do and two hours had passed since we walked in we were worn down and we accepted. Then when the manager went into the system to give us the $50 credit it allowed him to instead give us a $100 credit so we were completely even with what we’ve put out and we were much much happier. He told us he wanted to do whatever he could to turn around our experience with ATT. We honestly told him that the past experience couldn’t be turned around but we were willing to make this a first step in the right direction. He handed us his card and told us before we call ATT again for anything to call him personally and he would handle it for us. He really saved the day for a company that honestly did not deserve it but I now have phone service again and best of all I got to keep the same phone number 320-496-7061! The IMEI number and the Sim card were on a stolen list and nothing was probably ever going to remove it so no matter how many times it was blocked it was going to continually be blocked again. I don’t know why they didn’t figure this out to start out with but in any event IT’S OVER. We had him change the passcode while we were there so everything wrong seems to have been set right. I do want to mention his name here, C Cuisson at the store in Virginia, Minnesota. The representative Mike did everything he could, in his limited power to fix it but he couldn’t and that’s the company’s fault, not his. C Cuisson must have more power and did set things right. I am thankful to him for turning this very upsetting event around! He deserves a gold medal from ATT and certainly got a nice handshake from us when we left. You know I always try to take pictures of everything and I started to take C Cuisson and Mike’s picture when we left but since I’m not sure if they were quite positive of what to make of us that might have been a bit much! As long as the phone isn’t blocked when we wake up tomorrow we should have a great Independence Day. A friend of mine on Facebook said recently that he felt calling the upcoming holiday 4th of July didn’t really convey the true meaning of the day like Independence Day does and I agree. Tomorrow we’re heading to International Falls for their Independence Day parade, festivities and fireworks. Since our resort is sort of part of Voyageur National Park and there is a no fireworks law in effect in the park none of our guests will be doing fireworks. They are all aware of that and will be doing other things to celebrate our nations Independence Day. I hope our friends will share pictures of their Independence Day celebrations with us – email is Rosalyn@selu.edu. 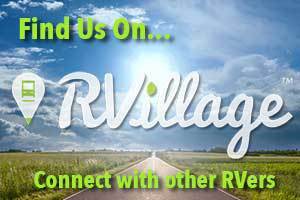 We love to hear from you guys either through email or a comment on the blog or on my newly connected phone! Whew! Thank goodness that has been resolved – It was nice of you to mention the manager’s name. He did the right thing! I just got around to reading your ATT situation. I’m so glad Chad finally resolved the problems. I know that was very irritating to y’all. Are y’all off for the 4th. I can envision you putting up all your decorations around the camper. I guess you will post some nice pics of that and the fireworks display. Tell Roy that I am getting an error on my pc that says something about the Radaeon (?) Card not being connected and to go to my “getting started guide”. That is all that shows up on my screen. What do I do? Roy said to turn the computer off, unplug all the video cables and if possible if someone could open the computer and reseat the video card. Then plug it all back up and power it on. Let him know if that does it. We really have no red/white/blue decorations except this one little string of lights that actually looks quite pitiful outside! It doesn’t get fully dark here until around 10:30 so no one really sees them!!!!! Also, they do fireworks at 10:10 at night so I doubt we’ll stay around for that! Old folks go to sleep early! We are off today just because of the way the schedule falls. If a holiday is on Monday or Tuesday we’d be working. Good to hear from you girl! Glad things finally worked out for you. Now you should be able to enjoy your 4th of July.